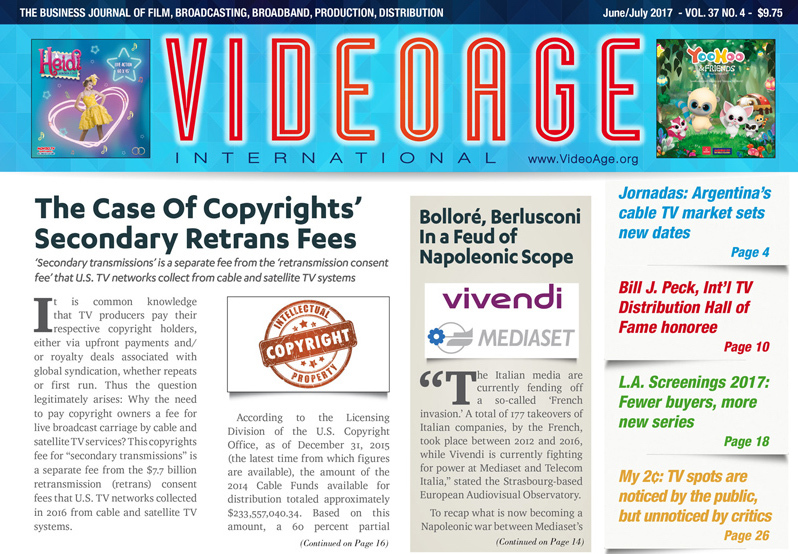 VideoAge June/July Issue is now online at www.VideoAge.org. 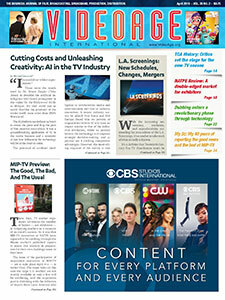 It features 13 articles and covers three TV markets: L.A. Screenings, NATPE Budapest and the Jornadas of Buenos Aires. The Issue’s International Hall of Fame honoree is pioneering TV executive Bill Peck from London. Peck is the first British exec to receive such an honor. Four of the features are also available in the audio format for the visually impaired. 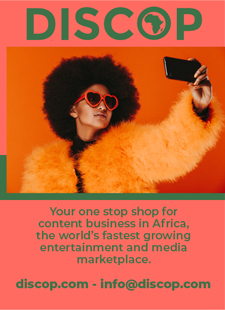 Of particular interest is the “Copyrights’ Secondary Retransmission Fee,” because of its arcane status and often misunderstood function. VideoAge’s legal contributor Steve Schiffman wrote it after lengthy research. The “Napoleonic” war between Italy’s Silvio Berlusconi and France’s Vincent Bolloré is both amusing and amazing in its scope. And, also worth of a read is our report on the L.A. Screenings, with a full analysis of the new U.S. TV season, the Upfronts and the results of the independents’ screenings in Los Angeles. The feature on NATPE Budapest prepares both buyers and sellers on what to expect at the market, which is also what the Issue aims to achieve with its preview of the Jornadas, to be held in September. VideoAge’s reports often feature first-hand accounts, and this time those include a breakfast meeting with NATPE CEO JP Bommel in New York City; going over the copyrights story with Schiffman in Las Vegas, sending a contributor to Cesme for the Turkish report, and meeting with Peck for the Hall of Fame report, which was four months in the making. And in this issue, the travel news focuses on the hotel classifications, while the calendar pages bring us up to MIPCOM. The Issue closes the usual “My2¢” editorial, which, traditionally, brings some controversy into the picture, even though this time it may be overshadowed by the Berlusconi-Bolloré controversy reported on earlier on in the Issue. 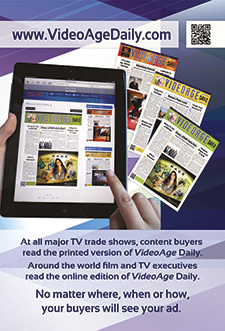 For VideoAge’s advertisers, the PDF version of the Issue (reachable by clicking here http://videoagedaily.com/digitalissues/PDF/Video%20Age%20International%20June%202017/index.html) features a “button” on each ad that bring the readers straight to the advertiser’s own website. 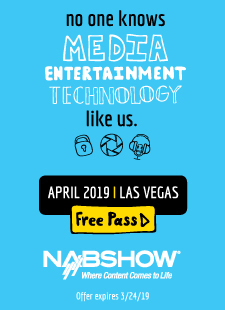 Advertisers’ fare is also featured in VideoAge’s pre-NATPE Budapest listings (both on its home page and in the E-Beat daily newsletter).